Location: Sun Valley, eastern San Fernando Valley. 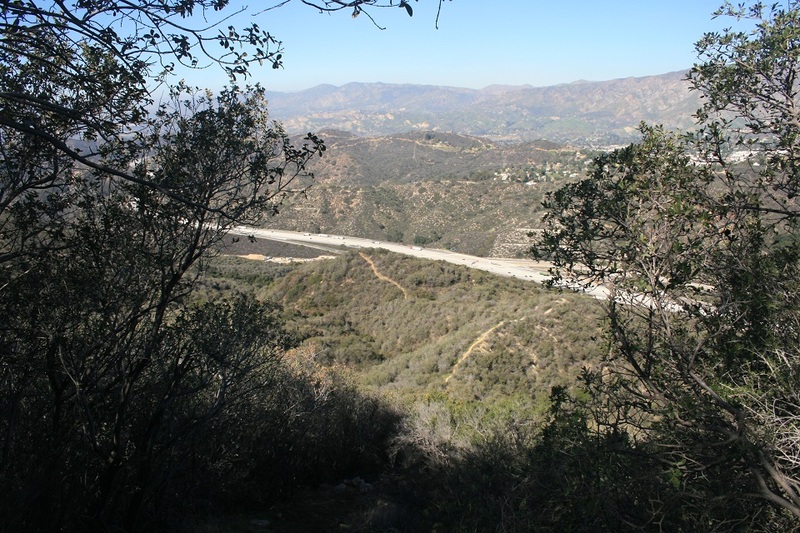 From the west, take I-210 to the La Tuna Canyon Road exit (14). Cross La Tuna Canyon Road and park in a large dirt lot by the gate to South La Tuna Canyon Road. 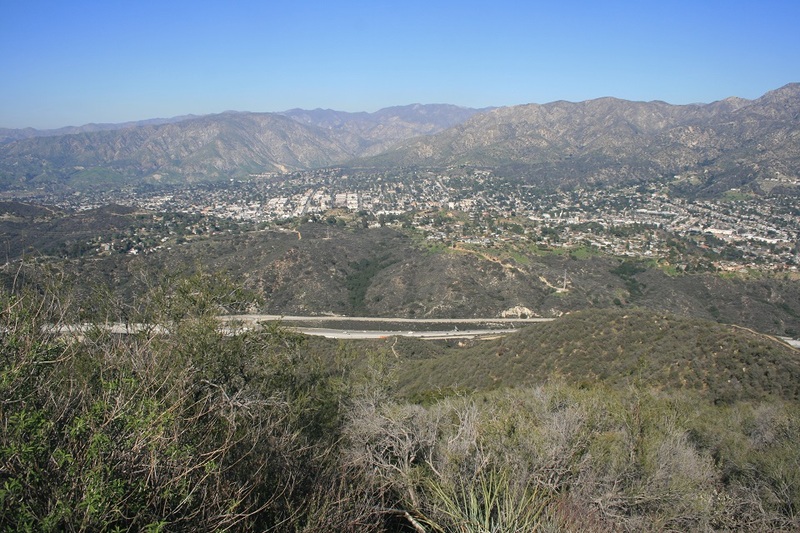 From the east, take I-210 to the La Tuna Canyon Road exit. Turn left, go under the freeway and turn left into the large dirt lot. Note posted parking restrictions. 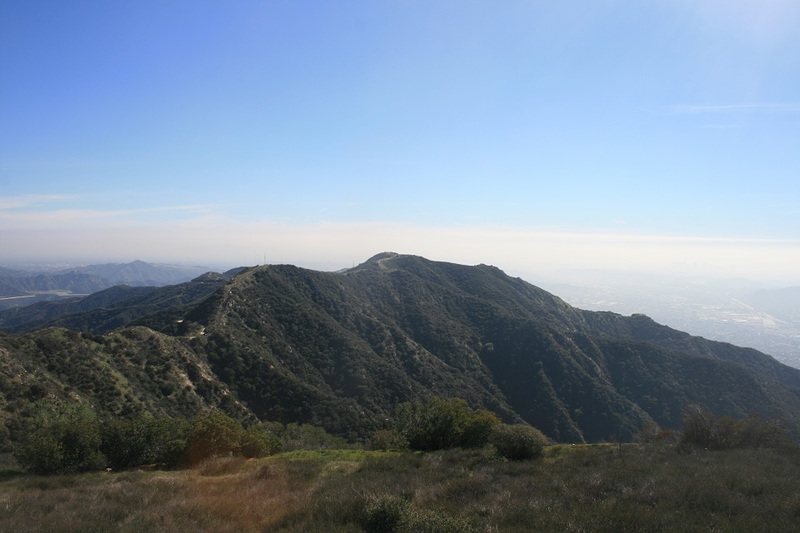 Verdugo Peak (elevation 3,126) is the unofficial name of the highest point in the Verdugo Mountains. 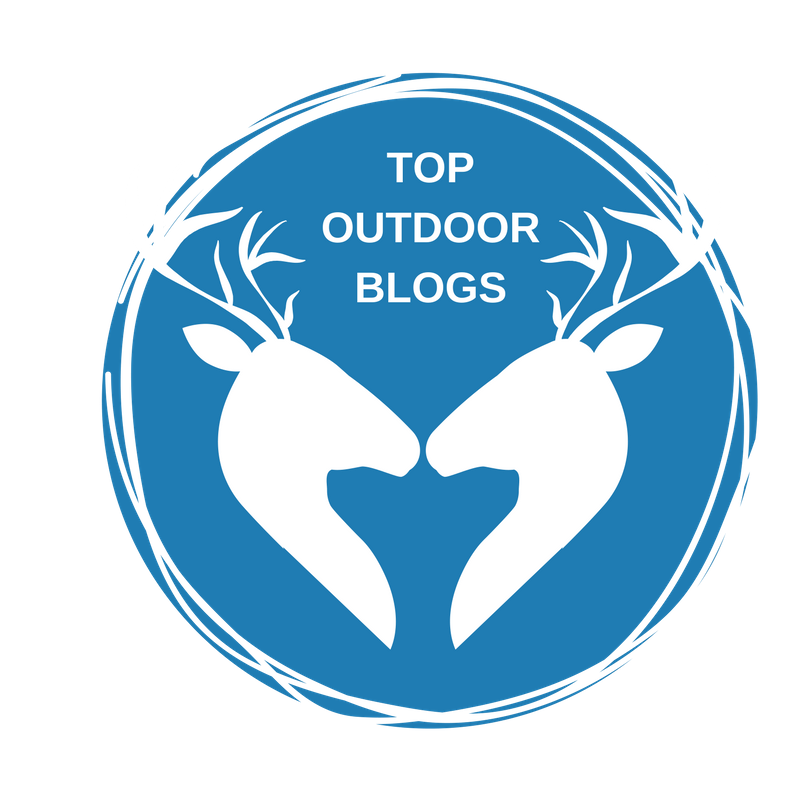 This post describes an adventurous approach from the north, using an unofficial but well-beaten single-track trail. The route is very steep, often loose, almost entirely exposed and best suited for experienced hikers, despite its proximity to civilization. 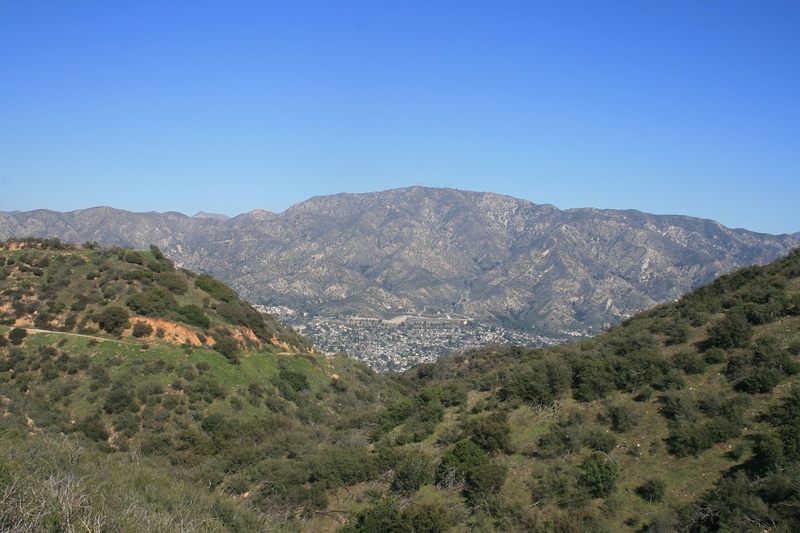 The rewards are panoramic views of the La Crescenta Valley and the San Gabriel Mountains. From the parking area, head east on the paved service road. 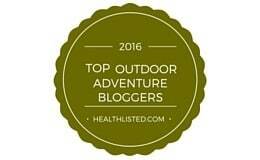 Almost immediately, look for an unmarked but obvious trail on the right. (The service road continues another half mile to the Hostetter Fire Road, which climbs 3 miles to the summit, a gentler alternative for the ascent or descent.) 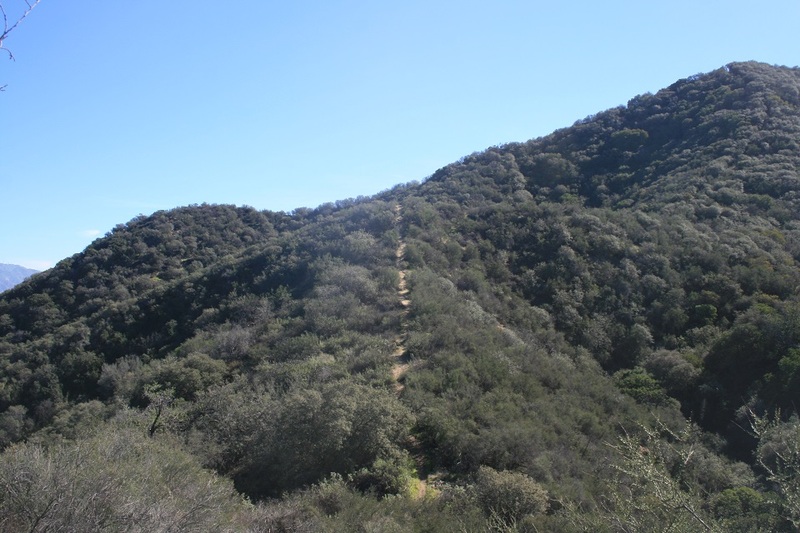 Begin your steep ascent on the single-track trail, at first through the shade of some scrub oaks and chaparral, then along an open ridge. 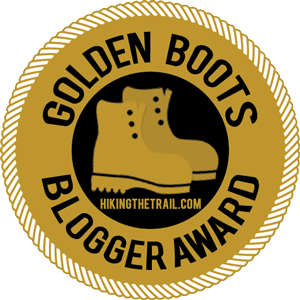 A few welcome flat stretches allow you to catch your breath and enjoy the views but for the most part the grade is unrelenting (this trail gains almost 3/4 of the Vital Link Trail’s elevation in half the distance). At 0.7 mile, you get a brief respite as the trail levels out. 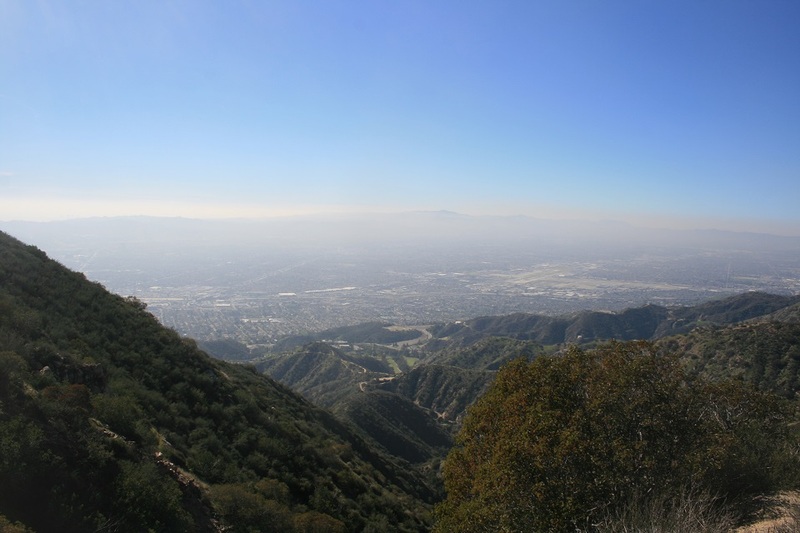 To the east you get an aerial perspective on the Hostetter Fire Road (which may make some hikers wonder why they didn’t take it instead) and the San Gabriel Mountains beyond; to the west are the Santa Susana and Santa Monica ranges. 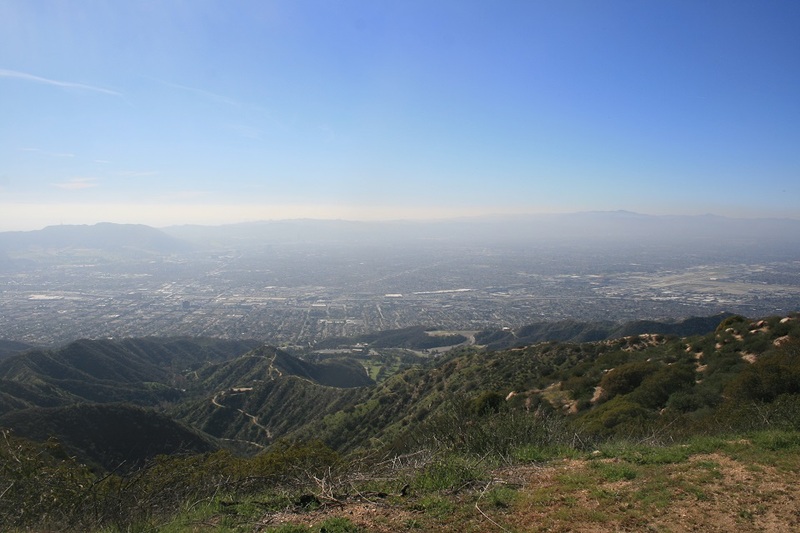 If visibility is good, you may see the Topa Topa Ridge of Ventura County. One more steep push brings you to another bump on the ridge, just under one mile from the start. Here you find your deliverance as the trail becomes mercifully level. 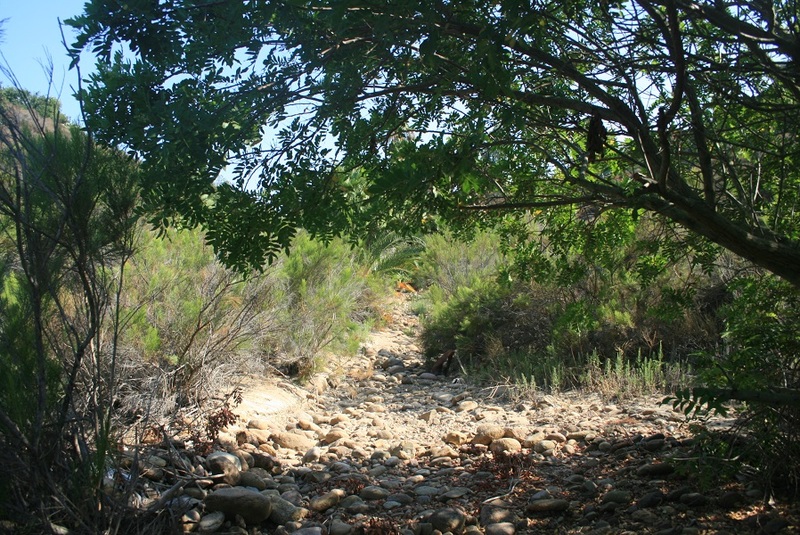 (Take either of two trails around a small knoll; they soon reconnect.) You reach the La Tuna Foot Trail 1.1 miles from the start. Make a note of this unmarked intersection for your return trip. Turn left and follow the La Tuna Foot Trail to Plantation Lateral and the experimental forest of pines and cypress trees that was planted in 1927. At 1.4 miles from the start you reach the Verudgo Motorway. Turn left and follow it southeast. 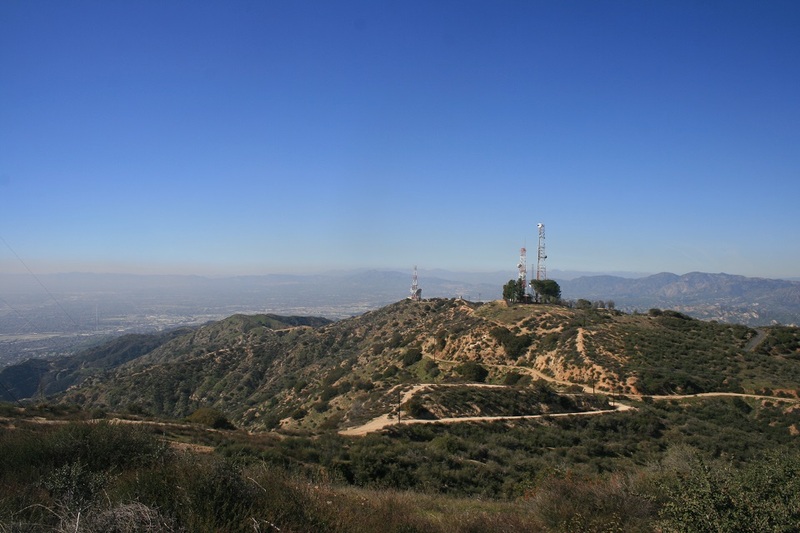 Despite the antenna installations and power lines, the views of the L.A. Basin to the south are exceptional. You pass the upper end of the Hostetter Fire Road (1.8 miles) and reach a Y-junction soon after. Bear right on a concrete service road and follow it up to Verdugo Peak. A foot path around the antennas allows you to experience a 360-degree view. After enjoying the scenery, return either via the same route or, if you’re worried about making the steep descent on tired legs, the fire road.